Create your first Project by clicking the (+) plus sign on the left side next to your Team's name. Give your Project a name. 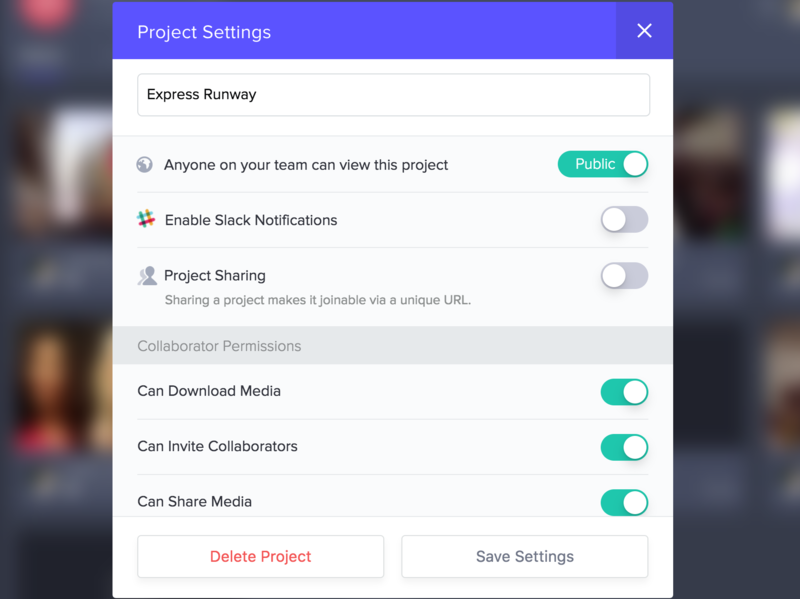 If you're added to multiple teams, select the team you'd like this project to be created on. Or, select New > File upload on the top right of your project. 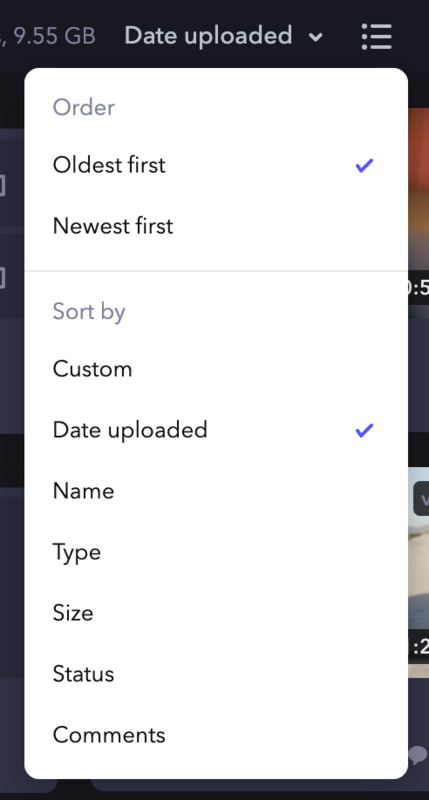 Once the upload is complete, hover scrubs are instantly created for videos and thumbnails for your still images. Non-media file types will be identified with a file icon. Frame.io encodes the files into HTML5 videos so they can play seamlessly on the web while still storing the original file available for download.